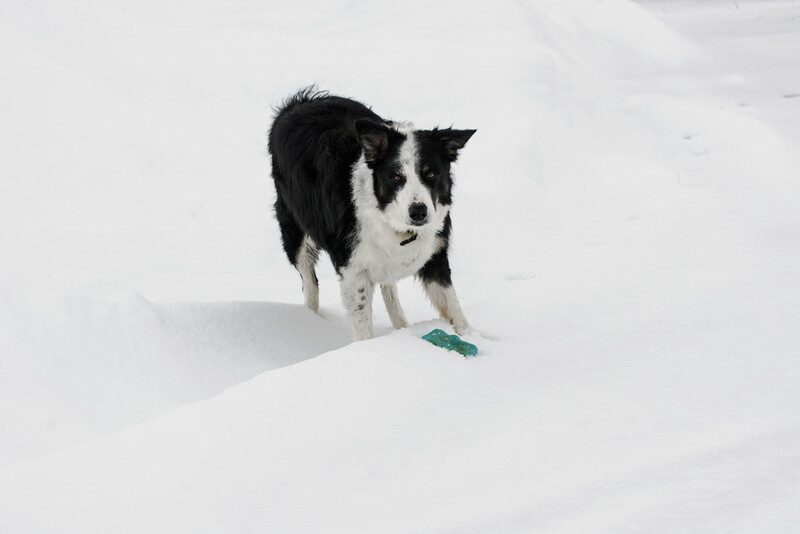 Shadow can play all day ... typical Border Collie! And, he gets so bored being stuck in the house with this colder weather. So, we make it a point to go out with him at least six times a day (me two times, and Hubby four times) to toss his favourite toy around for him to fetch and play with. Oh he’s wonderful! You and your husband are wonderful masters, 6 times a day, in the snow! Great to see them out and playing. Lovely photo. Having boredom problem with my dogs but rain is stopping us getting out. Fabulous white snow. Is he a working dog or just a pet?? He really has you human- trained well!! What a great portrait. The snow looks so smooth as a background. Did you over expose it a bit to get that effect? Beautiful capture in the snow. Border collie do need lots of activity. My sister has, trains and shows border collies. She keeps busy for sure. Dogs get beautifully silly in the snow, well our do as they don’t see it that often, lovely! Great capture of Shadow! Good of you and hubby to give him such loving attention. Border collies demand it! What a sweetie. I know a few border collies, and they certainly get bored easily! You have to keep them busy! great portrait - they do get bored easily - has he ever taken part in those agility challenges? Our dog LOVES the snow. He's bummed we don't have any. I'll have to show him this picture! LOL!